One month of Krav Maga will change your life. Regular training at ETKM will rapidly reshape the way you think, feel, and evaluate the world. Most people feel different after just one lesson. You’ll get fit and learn to defend yourself against any kind of attack, but the most important thing Krav Maga will change is your mind. You may not have realized your low-level anxiety from knowing we live in a society where bad people do bad things. Every day you’re in situations part of you recognizes could go very wrong. You feel helpless. Classes are like therapy. They name a specific problem like being choked up against a wall or attacked with a knife. Then they give you the tools to know you can cope. You learn to analyze the situation, identify the threat, and take immediate, decisive action. You go from feeling helpless to feeling powerful. You develop an aggressive instinct that’s quick to take charge. Every class you push your body to the max and find yourself smashing through personal barriers. The surge of confidence you feel from overcoming obstacles carries into every other area of your life. Almost everyone loses a significant amount of weight the first month. Depending on what you weigh, Krav Maga classes could burn between 500 and 900 calories each class. Sending punches, kicks, elbows and knees is intense cardio unlike anything else. Even if you’re already extremely fit, you’ll find yourself out of breath with your heart pumping. Everything we do builds lean muscle, which burns more calories even when you’re not being active. Try this. Wherever you are, make two fists in front of your face. Tighten your abs. Notice the feeling in your biceps and across your shoulders. Each muscle you feel will be completely transformed your first 30 days of Krav Maga. Now slowly extend your right fist like you’re sending a punch. Notice how every muscle in your forearms, biceps, triceps, and shoulders is engaged. If you did it right you also used the muscles in your core. That was one movement. Picture repeating it explosively again and again. Think if each of those parts of your body became hard muscle. The difference between training at ETKM and going to the gym is that here, you’ll want to go. Classes fly by and you learn valuable techniques that don’t just make you more leaner, they make you safer. If you live in planet Earth, you encounter idiots. Frustration builds, and when the pressure isn’t released, you either blow up at your family or live on the emotional ragged edge. It’s extremely satisfying to smash things. After a tough day, come punch and kick until your body is exhausted. Project what’s driving you crazy onto the pad or heavy bag and completely obliterate it. Don’t hold anything back. 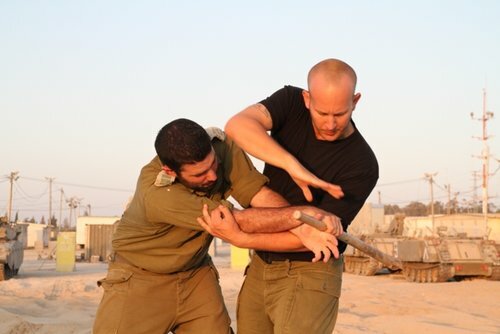 At Krav Maga it isn’t just okay to hit, we encourage it. One of the things that most surprises students when they train at ETKM is the sense of community. Each class offers new situations and tough challenges. When classmates see each other struggle again and again, but refuse to give up, it fosters a deep sense of respect and friendship unlike anywhere else. Our students are all ages and from all walks of life, but they come together to make each other better. Don’t wait to start reshaping your body and mind. 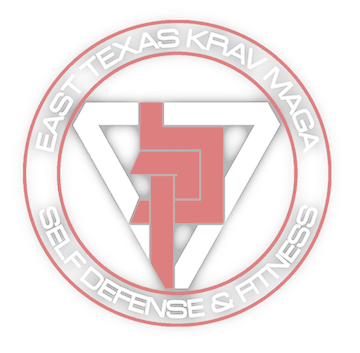 Contact East Texas Krav Maga today.